Please feel free to give feedback. 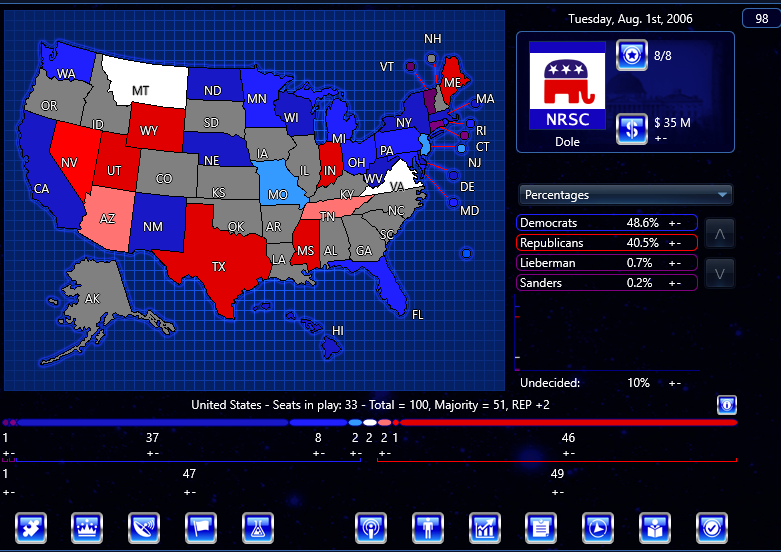 It looks alright, but an intro text for the scenario and bio text for the GOP and Lieberman would be a nice addition. 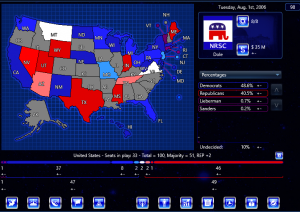 I’ve been working on a 2006 U.S. Senate scenario of my own for quite a while, but it has all the Third Parties and Independents and would need the coalition feature Anthony’s said is coming (one magical day) to work the way it’s set up. I believe the issues I had were also a bit different than yours. Good job, all in all, though. well negotiations will come eventually.